We Have Seafood, Bison Burgers, Signature Nachos and More! Exciting new! We are expanding our kitchen to help accommodate the volume of people we have visiting us! Give a loved one a gift card for The Charred Oak Tavern! Searching for a great place to dine on seafood and enjoy a cold one - or two? 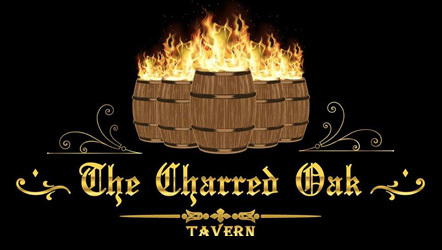 Stop by The Charred Oak Tavern in Middleboro, Massachusetts! We have appetizing dishes and refreshing drinks to please the senses, enliven conversation and lift spirits. We accept reservations for parties of 6 or more and walk-ins. Two words. Candied Bacon. All kidding aside amazing restaurant. High quality food . Fresh and flavorful. Been here a few times and never disappointed. Staff and management have always been super nice . Love the style of the place. Highly recommend it . Great whiskey selection!! Such a gem of a place! Incredible whiskey selection, perfectly mixed drinks and delicious, inventive menu items that would appeal to a wide variety of people. Also, the service was stellar. Each and every staff member i came in contact with was engaging, knowledgeable, and just plain cool. Will definitely be back!!! Fantastic experience here!! The oysters were fresh and delicious. The candied bacon was incredible. I had the charred steak which was cooked to perfection. My husband the loaded chicken which was very flavorful. The kids enjoyed their chicken tenders and Mac n' cheese. Our server was a sweetheart and attentive. Honestly, best dining experience we've had in quite a while! Can't wait to return! If you need to quench your thirst, stride on over to our horseshoe-shaped bar. Here you can enjoy craft bourbons, whiskey cocktails and other select beverages. We're sure to have something that will please your taste buds! Step into the lounge at The Charred Oak Tavern and marvel at our wagon wheel chandeliers, industrial lighting, leather sofas, custom-made wood doors and high-top tables made from whiskey barrels. If you're going to dine on delicious seafood and slow-cooked meats, you should do it in style! Grab the family for dinner or your friends for a couple of cold ones. The Charred Oak Tavern is the perfect place in the Middleboro, MA area for dining, drinking and mingling with those you love.